Insulating the garage produces the same advantages as insulating your home – lower energy costs and space that is more comfortable in all seasons. The purpose of insulation is to slow the transfer of heat through the material. Simply put, keeps heat outside in the summer and inside in the winter. Australia’s guide to environmentally sustainable homes states that heat loss and heat gain through the roof can be as high as 35 percent and through the walls as high as 25 percent. That adds up in higher energy costs and more stress on your home’s HVAC equipment. While the clearest advantages are for garages that are heated and/or cooled, boosting energy efficiency in any garage will produce a good return on your investment. The material is quite affordable and the savings can be significant. An insulated garage that does not have a heater or air conditioner still acts as a buffer zone between the outside elements and your comfortable home. If the air in your garage is heated or cooled, then insulating the space is essential to keeping energy costs as low as possible. If you’re one of millions of Australians concerned about reducing energy use and making your home a greener, healthier place to live, then this is a step in the right direction. Once the garage is insulated, it gives you much more comfortable living space for things you enjoy. Many homeowners turn all or part of their garage into a workshop, game room, art studio, kid’s playroom, home gym or a mantastic Aussie man cave like these. Here’s another important reason to consider insulating your garage – it’s an excellent selling point should you ever sell your home. Tell potential buyers that the garage is insulated, and the possibilities start percolating in their mind about how they might use the extra 35 to 40 square meters of comfortable space. The attic: Roll insulating batts over the rafters or pour loose cellulose fill onto the drywall attached to them. Walls: Unfinished walls are an ideal location for batts, and if you plan to finish the walls, loose fill can be used too. If the walls are finished but not insulated, your options are gluing foam insulating boards to the drywall and painting them, or better yet, pulling off the drywall to add batts or fill. 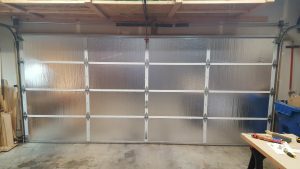 The garage door: If you’ve got a newer garage door and want to keep it, one option is to glue insulating foam boards to the inside of it, but the extra weight might cause issues with its hardware. For better energy efficiency and more durable performance, install a quality insulated garage door with beefed up construction able to support the additional weight. Also, make sure the weather stripping at the bottom (and possibly sides) of your garage door is in good repair, and replace it if needed. Service door: An insulated service door will cut energy use and might also boost security. Windows: While windows allow in natural light, they are also a major cause of heat loss and gain. Consider blocking them with insulation and adding overhead lighting. A more visually appealing approach is to replace them with glass block or with windows using insulated glass for superior energy efficiency. Make sure the frames of windows and the service door are caulked well to stop air leaks that reduce efficiency. Note: Insulated vinyl cladding is available from brands like Austech and Mitten. 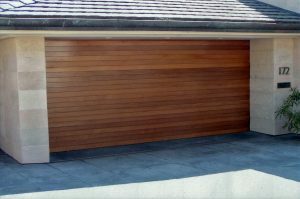 It might cut energy costs when installed on your home, but most experts do not believe it’s a cost-effective solution for the garage due to its considerable expense above standard cladding. 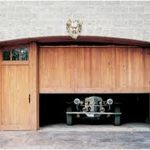 By now you’re probably thinking about kicking out the car and transforming the garage into what will surely become your favorite room in the house. Even if it remains the domain of the vehicles, insulating the garage will make your home more efficient, green and comfortable. The purpose of insulation is to slow the transfer of heat through the material. Simply put, keeps heat outside in the summer and inside in the winter. This entry was posted in Home Improvement and tagged Boosting Energy Efficiency, Cost-Effective Solution, Cut Energy Use, Energy Cost, Energy Efficiency, Garage, Garage Door, Insulated Garage, Insulated Garage Door, Insulated Vinyl Cladding, Insulating Boards, Insulating Foam Boards, Insulating the Garage, Insulating your Garage, insulation, Making Your Home Greener, Purpose of Insulation, Reduce Energy Cost, Reducing Energy. Bookmark the permalink.